Ontario has reached a tentative deal with public elementary school teachers, ending a work-to-rule campaign that began last spring. A tentative deal has been reached with Ontario's public elementary school teachers, ending a work-to-rule campaign that began in the spring. 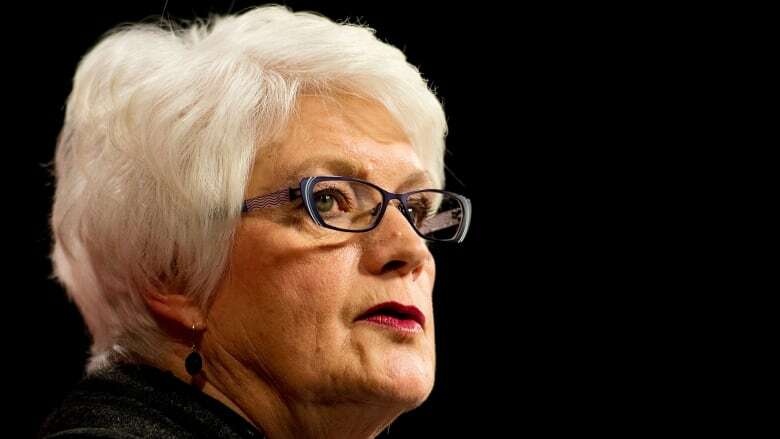 Ontario Education Minister Liz Sandals and Sam Hammond, president of the Elementary Teachers' Federation of Ontario (ETFO), announced the deal separately late on Monday afternoon. "The process to get to the tentative agreement has not always been easy, but I want to thank everybody for coming together," Sandals said at a news conference. I'm pleased to announce that <a href="https://twitter.com/hashtag/ETFO?src=hash">#ETFO</a> now has a tentative agreement for our teacher / OT members at the central table! The elementary teachers union said it is advising its members to suspend their work-to-rule action. The union's 78,000 members started a work-to-rule campaign in May that they escalated near the beginning of the school year and again last month when they withdrew from extracurricular activities. The deal means the Liberal government doesn't have to follow through on its threat to dock the pay of teachers on administrative strikes. The province had said those teachers would face reduced pay if their work-to-rule campaign did not end by Nov. 1. That deadline passed with no word from the government, as talks continued through the weekend. Sandals said Monday the deadline appeared to "facilitate" talks. The deal "will ensure that students and teachers across Ontario remain in the classroom," Sandals said. Terms of the agreement were not disclosed, pending ratification by union members. But Sandals said the terms such as salary, are similar to those for English Catholic and public school teachers. Those deals included raises of 1.5 per cent plus another one-per-cent bonus. The teachers have been without a contract since August 2014. This was the first round of negotiations under the Liberals' new two-tier bargaining system, with separate central and local talks. Earlier this fall, the province reached deals with other major teachers unions. Educational support staff represented by the Canadian Union of Public Employees (CUPE) and the Ontario Secondary School Teachers' Federation (OSSTF) have waged similar work-to-rule campaigns and faced the same deadline. Their members include custodial staff, office administrators, early childhood educators, tradespeople, library technicians and speech pathologists. The government earlier in the day reached an agreement with CUPE, but Sandals said the province has no deal with the OSSTF. She said those workers could now have their pay docked by up to 10 per cent, though she stressed that decision rests with local school boards and trustees. OSSTF workers will be given five days' notice if their pay is to be docked. The earliest such pay cuts could take effect is next Monday, Sandals said. "Job action is negatively impacting our students, schools have become increasingly dirty, and we're increasingly concerned about the health, safety and well-being of our students," she said. OSSTF president Paul Elliott said his union won't "respond to threats." "Our support staff members have been without a contract for fourteen months and they will not cease any job sanctions until a tentative central deal has been reached," he said in a statement. Sandals said she still hopes the union and the province will reach a settlement.